We’re more than excited to finally share this one with you! 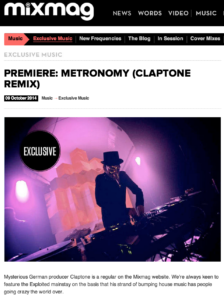 Claptone remixed the great ‘I’m Aquarius’ from Metronomy and it’s a bomb. Mixmag premiered the remix so have listen below!